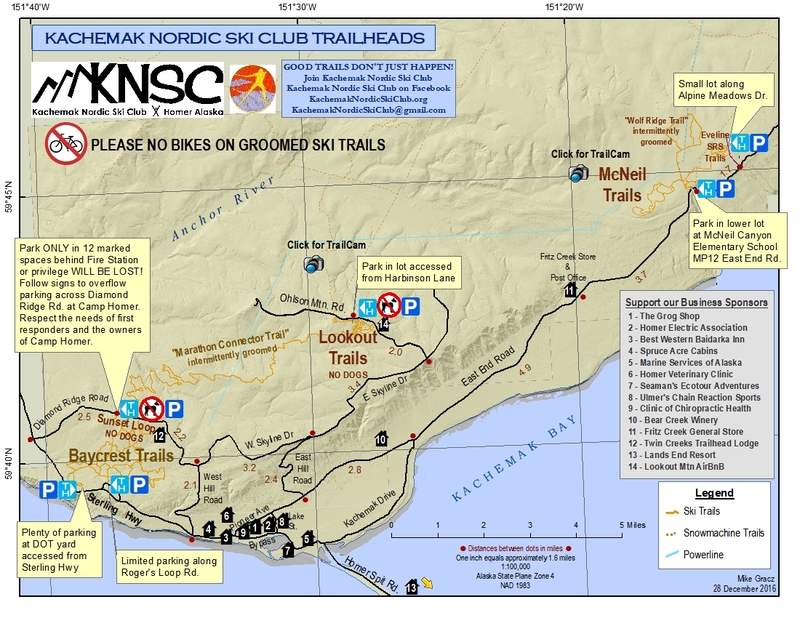 The Kachemak Nordic Ski Club is a 501(c)(3) organization dedicated to promoting Nordic skiing in the Kachemak Bay area. GREAT TRAILS DON’T JUST HAPPEN! 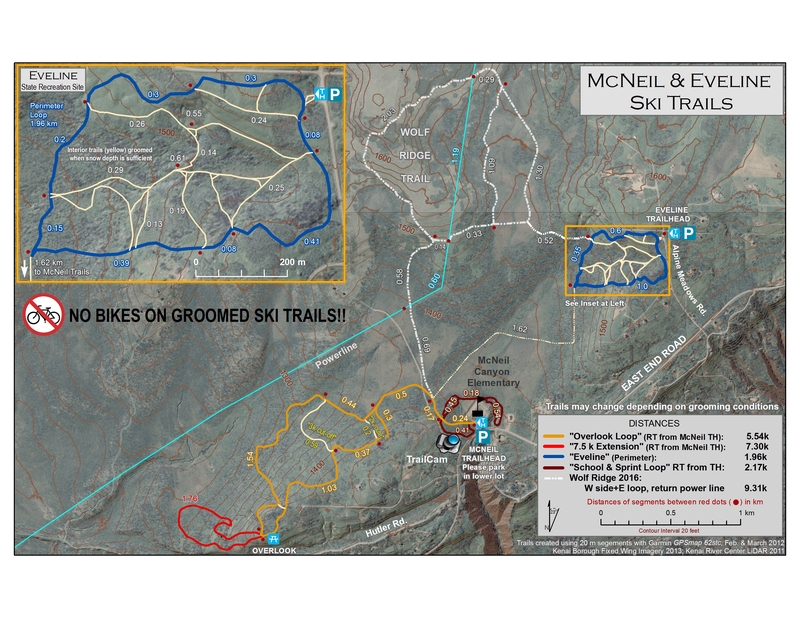 KNSC currently maintains over 70 kilometers of groomed trails at the Baycrest, McNeil Canyon-Eveline, and Lookout Mountain trail systems. Located near Homer, Alaska, all three areas are groomed for classic and skate skiing. Each area offers varying terrain with opportunities for panoramic views of Kachemak Bay and the Kenai Mountain Range. If you enjoy the ski trails, become a member! The Events Calendar lists the date, time, location, and other information for each of our events. The Events Information page gives more detail about each of the events. Information about upcoming events and race results can be found on the right sidebar.